So I’ve recently been looking around again for a digital portfolio tool that I can use with my students and I am sadly unimpressed with how little this tool has changed or improved in the last few years. 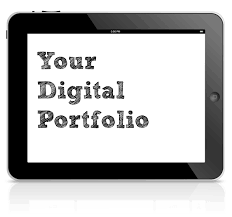 The idea of a digital portfolio is exciting, this living thing that we add to continually over the course of our professional lives. Imagine having such an archive? When I think back over my teaching career I really wish I had a record of it, something tangible and rich and full of those amazing lessons I remember teaching (plus the not so amazing ones), I could be reflecting and learning from my own experiences. 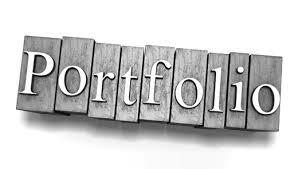 There wouldn’t be many people who wouldn’t agree on the idea of a digital portfolio or even its value, but the tools have let us down. They initially were privately owned sites which hard strange file formats that could only be read within the site itself (silly), or could be exported as a PDF turning it into a 1-dimensional portfolio (pointless) or could only be used by digitally fluent wunderkids, i.e. export as an HTML rich file (nope, again, why bother??). So the portfolios themselves were not really growing this business or encouraging uptake. Adding to this mess was a commercial or professional world that wasn’t really ready for them. If you sent a letter with an URL in it, people were ready to type that into a browse or click on it to open it. They wanted a hard copy, something attached to the letter itself. So why take the risk? I remember friends bringing CD-ROM’s and quite frankly they didn’t get responses. Now though the Blog, Website or URL is more common, and prospective employers are clicking on the link. Our digitalness is slowly changing how we present ourselves to potential employers or the wider professional world. Yet, here is the nub of the matter, the portfolios themselves, the commercially made tools out there have not improved. I am seeing more exciting things being created in Blogs and Websites which means digital portfolios are being skipped over all together. I guess its ironic that I am writing about this on my Bog, because what is if not a way for me to push out my professional identity or thoughts to the wider profession? Perhaps this blog could be viewed as my digital portfolio? An interesting idea indeed.